Husband and wife photo/video team, and Totally Rad! users, Danni and Wil Rivera wanted to do something different. "Everyday my social media feeds overflow with images from carefully curated and beautifully executed styled shoots," said Danni Rivera. "Yes, they’re all different in a way, but the majority of them look the same. Beautiful models, beautiful details, beautiful venues." Over a bottle of wine, the couple joked "Wouldn’t it be funny if Hudson and Chelsea got Married?" 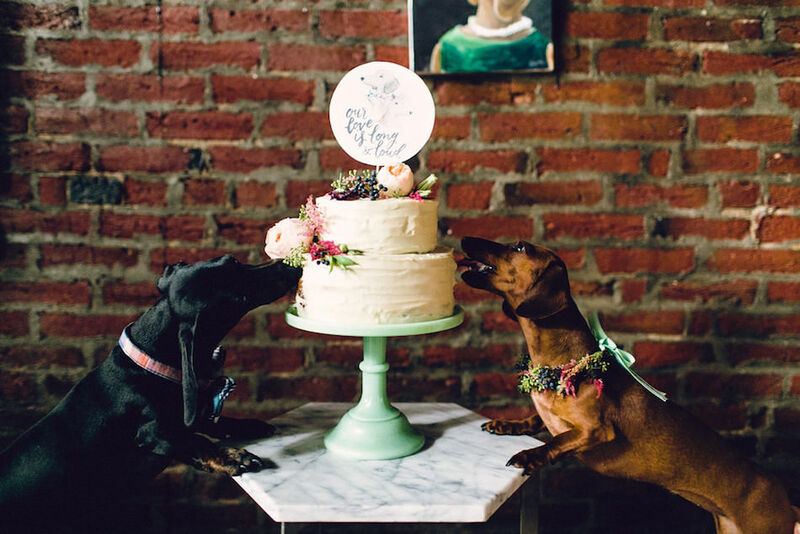 Their love for the furry members of their family inspired a fantastic, styled puppy wedding shoot called #HUDSONLOVESCHELSEA. With puppy treats, puppy invitations, and even puppy guests. "To us, it’s very important that our photo work and our video work look similar" says Danni. And to accomplish that, they turned to the Replichrome presets for Lightroom from Totally Rad. All the still photos and video clips for #HUDSONLOVESCHELSEA were processed with Replichrome. "Thankfully, I learned how crucial, beautiful, and simple presets are to the photo and video editing process early in my career and found Totally Rad!" said Danni. "I have never used anything else and probably never will!" To learn how to apply Replichrome presets to your video clips in Lightroom, check out our tutorial here. Husband and wife photo/video team, and Totally Rad! users, Danni and Wil Rivera wanted to do something different. Husband and wife photo/video team, and Totally Rad! users, Danni and Wil Rivera wanted to do something different.